Jazz is full of unsung heroes, men and women whose talent did not receive full recognition that may be they should. Hank Mobley is one such figure. The tenor saxophonist had the (mis)fortune to be contemporary with arguably the three of the greatest Jazz exponents of this instrument – John Coltrane, Sonny Rollins and Stan Getz, not to mention Dexter Gordon. Mobley’s art was defined by the beauty of his playing – its smoothness and soulfulness – as well as his prodigious writing. Hank was to Hard Bop what Grover Washington Jr was to Jazz Funk, ‘Soul Station is an appropriate title for an album that is widely considered as his finest. As a former Jazz Messenger, having Art Blakey on drums is the best anchor a session could enjoy. Paul Chambers’ bass playing is another feature and Wynton Kelly’s piano compliments Hank Mobley’s expressive horn playing. ‘This I Dig Of You’ is as accessible slice of Hard Bop as you will find; the sax playing is both powerful and beautiful at the same time. ‘Dig Dis’ and ‘Split Feelins’ hold the Hard Bop theme, whilst the slowish blues of ‘Soul Station’ is the kind of composition that Hank thrives on. 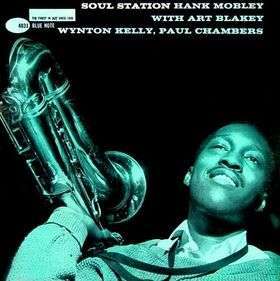 Is ‘Soul Station’ Hank Mobley’s best album ? Possibly, but it is a good starting point. 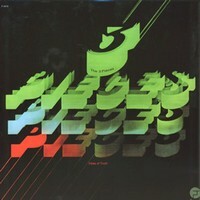 What strikes this scribe is that this album is fifty years or more old but sound fresh and refreshing.